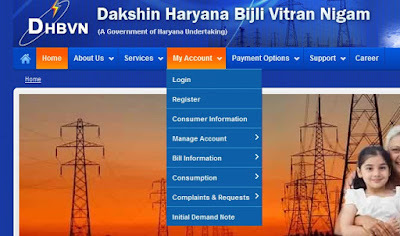 DHBVN Online Bill Payment, DHBVN Load Extension and DHBVN New Connection. You are reading this article that means you have already created an account on the DHBVN Login portal. 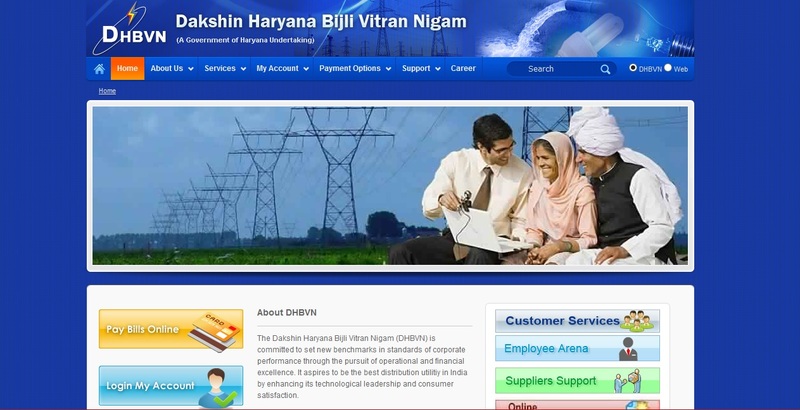 If you have not created an account yet, you can read our article on Registering on DHBVN website. 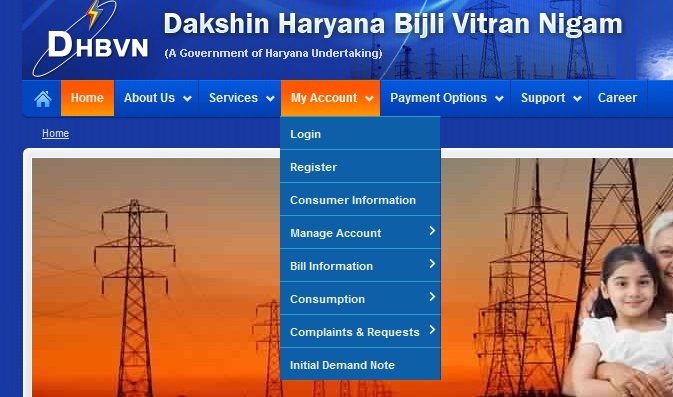 Consumer will find a step by step guide for creating a new account which you can use for Online bill payment, Viewing consumption on your electricity connection and much more. The account helps you to work on electricity tasks right from your mobile with just some simple clicks. This has helped lots of people who were tired of standing in long queues for paying bills and other such tasks. Step 1: Go to the DHBVN website by Clicking This Link. Step 3: Click on the My Account section from the navigation menu. You will see a drop down list of some of the options you can choose from. Account Number: Enter your Account Number that you gave during registration. Password: Enter the password you selected during the registration process. Step 5: Just click on Login and you are now logged in into your DHBVN register Account. You will see further details for paying online DHBVN bill and other works in our other blog posts. Hope this guide helps you people out there and more of our guides will be coming soon. Share this with your friends and family as Sharing is Caring.